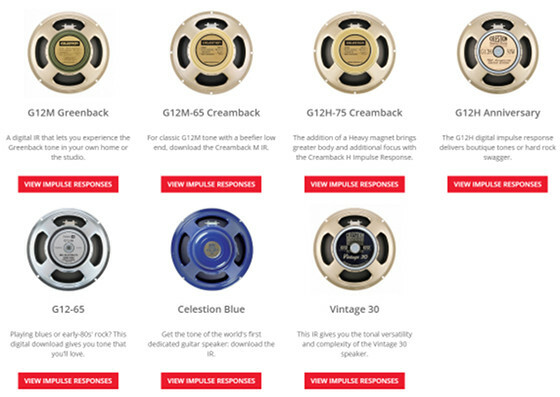 The maker of Celestion speakers has started selling a line of impulse responses for seven of their own classic Celestion speaker models. Other companies have been selling IRs of Celestion speakers for years so they might as well produce some officially and get paid for it while bringing attention to their brand. Plus Celestion is offering a free impulse response to download and test. 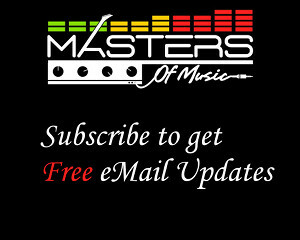 You just have to give an email address to get a link to the download. The free IR is a blend of several impulse responses put together by Cenzo Townshend. The speaker models of the IRs available to purchase include the G12M Greenback, G12M-65 Creamback, G12H-75 Creamback, G12H Anniversary, G12-65, Celestion Blue, and the Vintage 30. The IR packs for each speaker model are available in 5 different cabinet combinations. Each uses 3 different microphones in 6 different positions, so there are 18 IRs per cabinet variation, plus another 8 mixed mics per cab. All come in the usual sample rates, with 2 lengths at 200 ms and 500 ms, all in WAV format. That sure is a lot of IRs per speaker! If you need an IR loader, check out NadIR or the rebranded version called Pulse. Both are free.